Skye Gravestones | Angus & Jemima (Macintosh) Gillies. Angus & Jemima (Macintosh) Gillies. 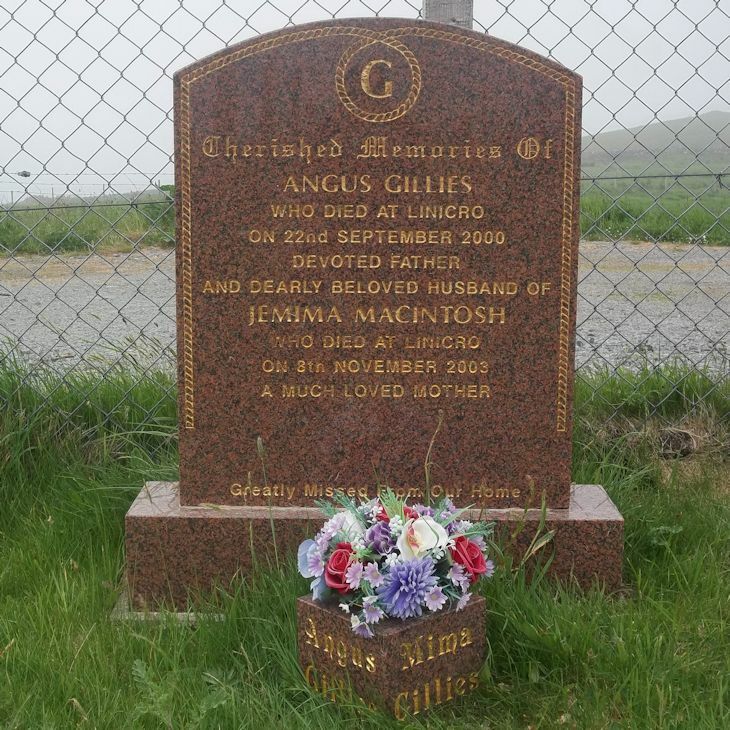 Cherished memories of/ANGUS GILLIES/who died at Linicro/on 22nd September 2000/devoted father/and dearly beloved husband of/JEMIMA MACINTOSH/who died at Linicro/on 8th November 2003/a much loved mother. Greatly missed from our home. Picture Added on 06 June 2018.